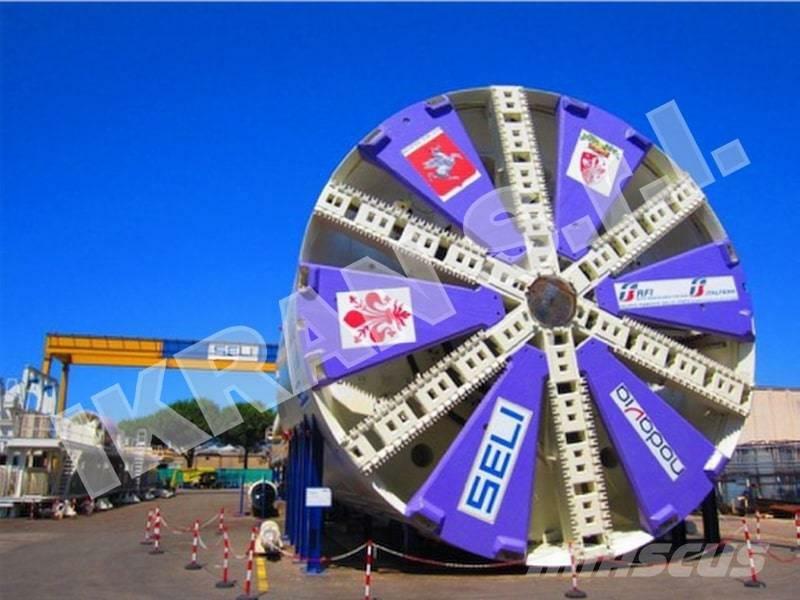 This machine was manufactured for the exaction of the two double pipes tunnels for the High Speed Train line. The machine was manufactured using the existing used shields from the EPB TBM that has excavated the High Speed train line in 2005. The rest of the machine is completely new. The TBM was erected end dry tested in the starting shaft in, but, for contractual reasons, the tunnel excavation never happened. The TBM was disassembled, removed from the site and stored in the yard, where it is now. The machine is completed of TBM and Backup system. In the selling price are also included a complete sets of mold. Available immediately, in sale where it is and as it is, loading at buyer charge. - Cutters type (Double Disc) 15.5"
On Mascus UK you can find [Other] SELI EPB 0940.134 other. The price of this [Other] SELI EPB 0940.134 is - and it was produced in 2011. This machine is located in - Italy. On Mascus UK you can find [Other] SELI EPB 0940.134 and much more other models of other.